Hi everyone, just to remind you all that we will be at Ilfracombe Holiday park on for Newly New Sale, would be lovely to see you there!! 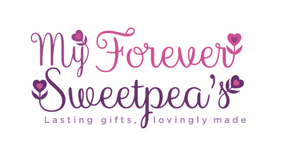 Also next Monday -Wednesday My Forever sweetpea’s will be exhibiting in Green lanes Shopping centre in Barnstaple. We will taking orders and doing Hand/ Foot prints fro Fathers day on Mugs and plates..Hope to see you there! !